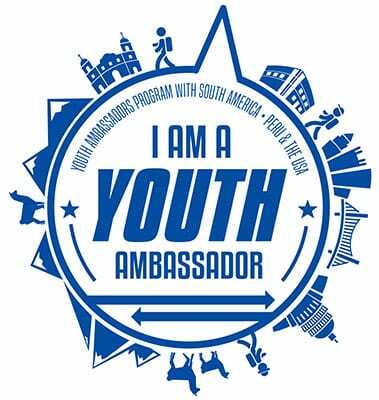 Amizade is proud to announce the Youth Ambassadors Program with South America (YAPSA), a program of the U.S. Department of State, Bureau of Educational and Cultural Affairs, administered by Amizade. This exchange program offers a unique opportunity for a diverse group of young people from Peru and the North Central Appalachia region of the United States to travel, learn about another culture, develop their leadership skills, and become empowered to make positive changes in their communities. Through this program, Amizade and our program partners, aim to empower youth to become integral leaders and decision-makers in their communities and to gain a clear understanding that the power to impact positive change in their communities lies within each of them. The guiding goal of the YAPSA Program is to build individual and collective leadership, critical and analytic problem-solving, and teamwork for youth to see themselves as agents of change and to become actively involved in community service and civic life. Participants will develop leadership and social entrepreneurship skills, explore themes of environmental protection, and promote collective action to contribute to and participate in advancing positive systemic changes in their communities. The Youth Ambassadors Program with South America will include 2 exchange programs, the first program, in Summer 2017, will be the Youth Ambassadors from the United States traveling to Peru. This will be followed by the South American Youth Ambassadors from Peru traveling to the United States in the Fall of 2017. 12 Youth Ambassadors and 2 Adult Mentors from the North Central Appalachia region (greater Pittsburgh, Western Pennsylvania, and West Virginia) will travel first to Peru for 3 weeks in the summer of 2017. During this exchange, both student participants and adult mentors will stay with host families in Ollantaytambo and Patacancha, Peru as well as an eco-lodge in the rainforest of Puerto Maldonado. The ambassadors will attend skill-building workshops, participate in leadership and community development trainings, visit local community agencies and student-led organizations, take part in community service activities, and learn about environmental sustainability and social entrepreneurship from different cultural and geographic perspectives. The program will also include visits to cultural attractions, museums, and other notable sites including a day trip to Machu Picchu. Each day will end with facilitated discussion and reflection sessions. While in Pittsburgh, 20 Youth Ambassadors and 2 Adult Mentors will have the opportunity to stay with a host family, meet and spend time with the returned U.S. participants, participate in site visits to local community agencies and student-led organizations, attend skill-building workshops, participate in leadership and community development trainings, engage in outdoor activities and team building exercises, shadow Pittsburgh high school students for a “typical” school day, interact socially with local Pittsburgh youth, engage in community service activities, and learn about environmental sustainability and social entrepreneurship from different cultural and geographic perspectives. The US portion of the program will conclude with a 5-day civic engagement and service-learning workshop in Washington, DC. This experience will familiarize participants with the US political system and dimensions of citizenship and civic engagement. In addition, the youth ambassadors will explore how social entrepreneurship can combat social issues such as hunger and homelessness. They will have the opportunity to tour the Mall, museums, government buildings, and have a special visit to the U.S. Department of State, Youth Divisions office. During the program, each Youth Ambassador will identify an environmental or social issue affecting their community to be addressed and further refined into Community Action Projects (CAPs). At the end of their time in each country, each participant–or participant team–will present their Community Action Project to their peers, program staff, and community leaders working with the group, for feedback and guidance implementing CAPs at home. After returning home, Amizade, with the help of the Adult Mentors, will continue to support exchange participants as they develop and implement their projects. Each participant or project team will be required to meet monthly with their Adult Mentor (or with an adult leader or YAPSA staff member) to facilitate their CAP, continue the learning process, reinforce the values and skills imparted during the exchange program, and report on their project implementation progress. This opportunity will facilitate continued application of leadership and entrepreneurial concepts including vision, organizational planning, identifying community resources, recruitment and management of volunteers, and outreach. It will also be an opportunity to put into practice aspects of transparency and tolerance. 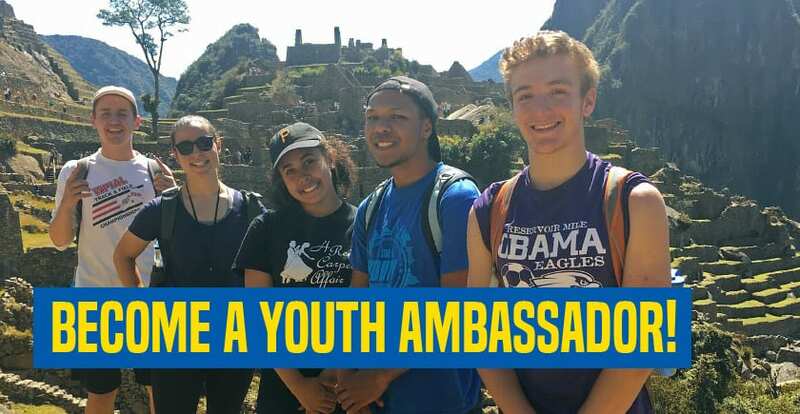 Participation in the Youth Ambassadors Program with South America requires a significant and serious time commitment from both the youth/ student participants as well as adult mentors, from April 2017 -March 2018. Participate in 3 of 4 mandatory pre-departure meetings between April and June, 2017. Engage in all workshops and activities during the summer exchange to Peru. Complete a Community Action Project in their home community during the fall and winter of 2017-18. Participate in 3 of 4 mandatory pre-departure meetings between April and June, 2017 as well as 2 additional pre-departure meetings for adults and staff. Facilitate and oversee the student Community Action Projects during the fall and winter of 2017-18.